Gwendolyne looked down the long table to where her new husband sat and tried not to think about him. With a little luck he would be gone soon. Gone to the war that was brewing on the freezing Wessex March, Perceval’s new kingdom. Gone by the morning, so went the rumour. Good. She already hated him thoroughly. Perceval though, the last of Arthur’s original Round Table, was delighted. She watched him now as he delivered his speech at their wedding, swaying as he spoke, goblet in hand about his happiness in uniting his family with the only daughter of the late King and Guinevere. Gwendolyne stared at the floor. Morgan the Witch. Morgan, her aunt. There was no escaping her, the Wise One who had continued her training after Guinevere’s death. Yes. It’s here…. She replied. She had found it days ago. Don’t worry about Perceval. The voice continued. He’s a holy fool…. He has no idea…. No idea what the Grail can really do. Gwendolyne knew this already. The Grail had immense powers. And not just over death…. I’ll get it tonight. I hate this place. And when we have it you can raise my father and we will restore Camelot and then…. Yes, my little one. Bring it to me…..and we will go to Avalon together….to rule again…. Something touched her mind though, soft as a bat’s squeak against the edges of Gwendolyne’s highly trained consciousness. Her eyes flew open, searching the room. She saw her at once, standing at the back. The strange woman in the white mask. They had told her the story when she had come there, how she had been found half dead in the forest, how Percival himself had saved her from the wolves, but not before she had been horribly disfigured. Now she wore a white mask carved from deer antler that made her look like one of the Dead. The girl disappeared from the room and Gwendolyn made her excuses and hurriedly followed her, her senses overwhelmed with a uncanny feeling of dread. And there she was. At the end of the long corridor of the royal suites, she was waiting for her. They proceeded directly into Gwendolyne’s own chambers. ‘Who are you?’ Gwendolyne demanded once they had gained the room. 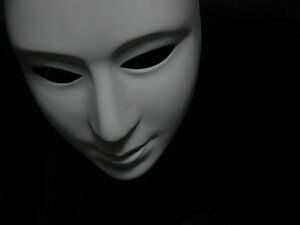 The woman turned to face her, her white mask cold and expressionless. A familiar name. She’d heard it before. Morgan. Morgan was screaming in her head. Gwendolyne tried to shut her out. Don’t touch her. Get away, get out! Now! Why shouldn’t I touch her? Gwendolyne wondered. Then she realized. Morgan knew something. Something she wanted kept secret. The white face stared down expressionlessly at the outstretched hand, and Gwendolyne noticed that the long hair that flowed around the mask was the same flame red as hers. Gwendolyne recoiled like she’d been bitten. ‘Take off that mask. Take it off at once!’ she commanded. But she already knew. Knew before she saw the remains of that twisted face, with the cheekbone jutting out and the twisted lips. What the wolf had left. It was a familiar face. For it was her own face. The face did not move, but the hand did. The point of the knife found Gwendolyn’s throat and drove in to the hilt. And as she staggered back across the room, the last thing that she ever saw was her sister calmly replacing the white bone mask as if ending their relationship before it had even begun. Gwennyt stood over the body of her sister and smiled to herself. Never again would Arthur draw breath through the magic of the Grail. The witchcraft of Morgan would not prevail here. And Perceval, who had given up so much to gain his prize, would not be a pawn of a reborn Camelot again. To the man who had saved her from the wolves as a starving child, she owed this much. Get all our comps, short stories and writing prompts straight to your feed. follow us on Twitter and Facebook.